Disease can be externally evident. Possibilities include visualization of infecting organisms such as parasites and microbial growth or obvious signs such as lesions. This gallery includes non-salmonid hosts as well. 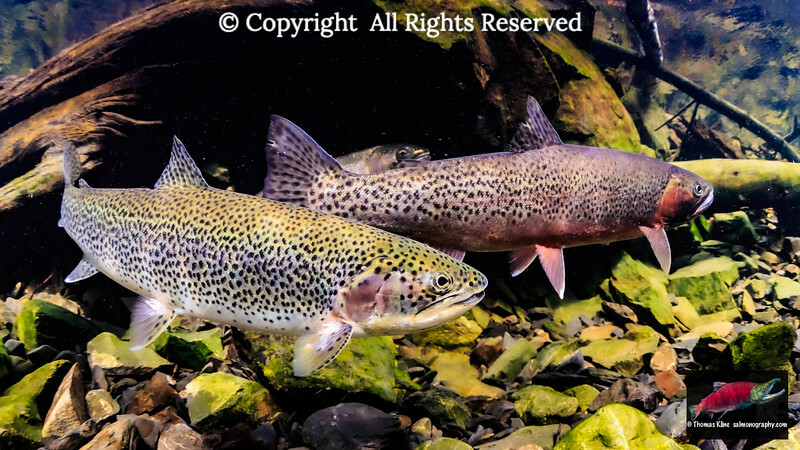 Female (left) and male (right) Cutthroat Trout. Female with gill maggots on base of her right pectoral and pelvic fins. 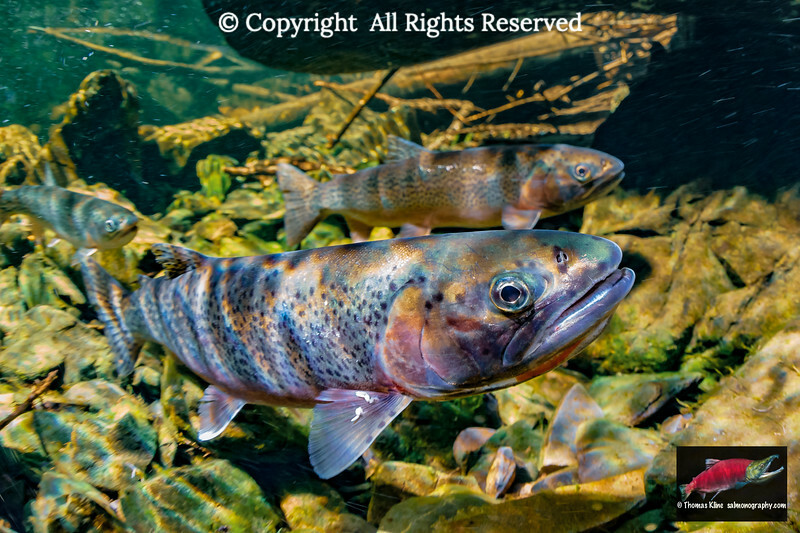 Female (left) and male (right) Searun Coastal Cutthroat Trout (Oncorhynchus clarkii clarkii). 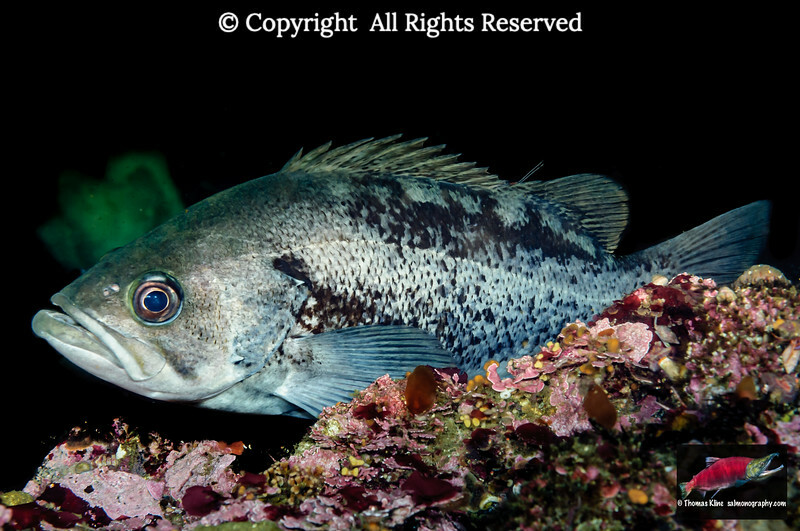 Female is infested with gill maggots (Salminicola californiensis) on base of her right pectoral and pelvic fins. Gaping male Coho salmon with parasites in mouth. Gaping male Coho Salmon (Oncorhynchus kisutch) revealing parasitic copeods (Salmincola californiensis) known as gill maggots) in his mouth. Aspect ratio = 2:3. 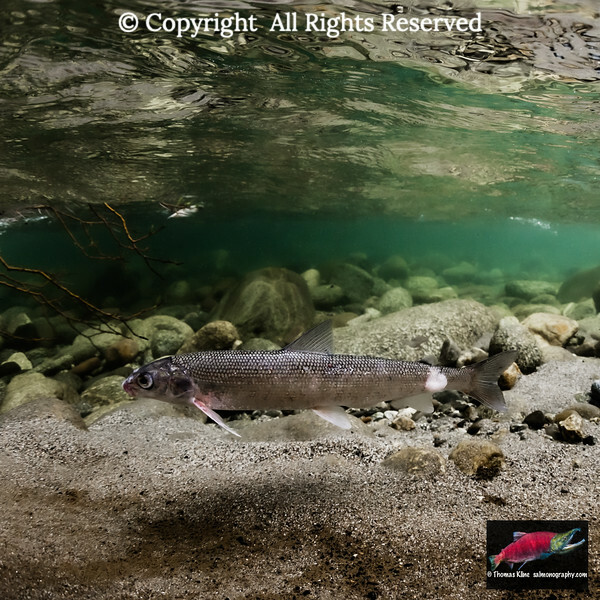 Searun Coastal Cutthroat Trout (Oncorhynchus clarkii clarkii) in a small tributary of Prince William Sound, Alaska. There are Salminicola parasites on the right pectoral fin of the nearest trout. Loose tapewrorms (cestodes) snagged and streaming off of woody debris in a salmon stream. The source (host) of these tapeworms is unknown to me. 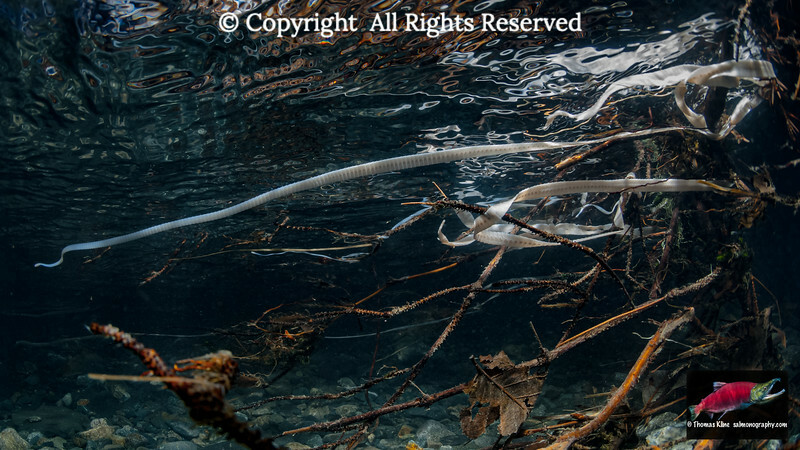 Round Whitefish (Prosopium cylindraceum) infected with the protozoan Saprolegnia on its cadal peduncle in an Alaska, USA stream during the summer. 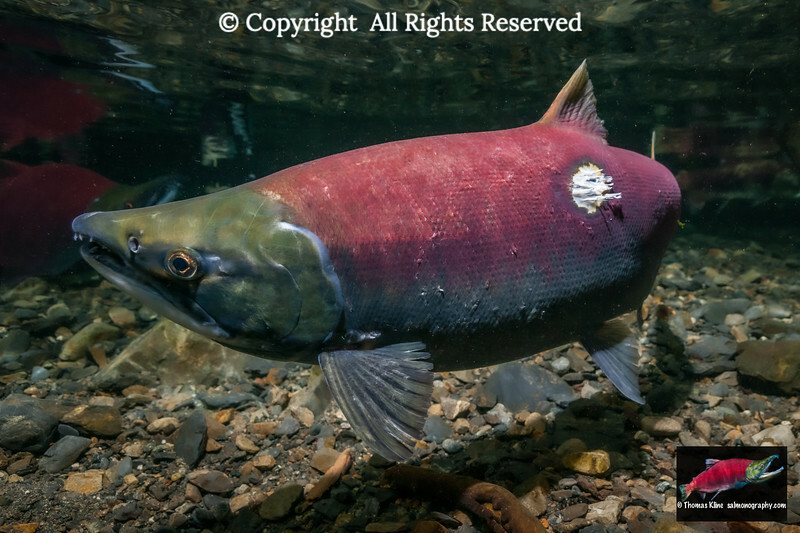 Mature Sockeye Salmon (Oncohynchus nerka) female on spawning grounds with partially healed Lamprey scar. 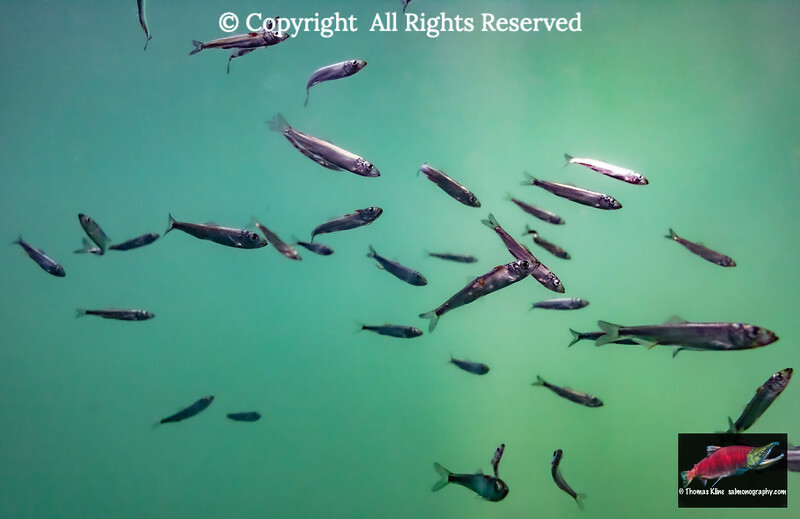 Underwater view of juvenile Pacific herring (Clupea pallasii; Clupeidae) rearing in Cordova harbor, Prince William Sound, South Central Alaska. Sea lice (Caligus clemensi; Copepoda: Caligidae) are attached to some of the herring. 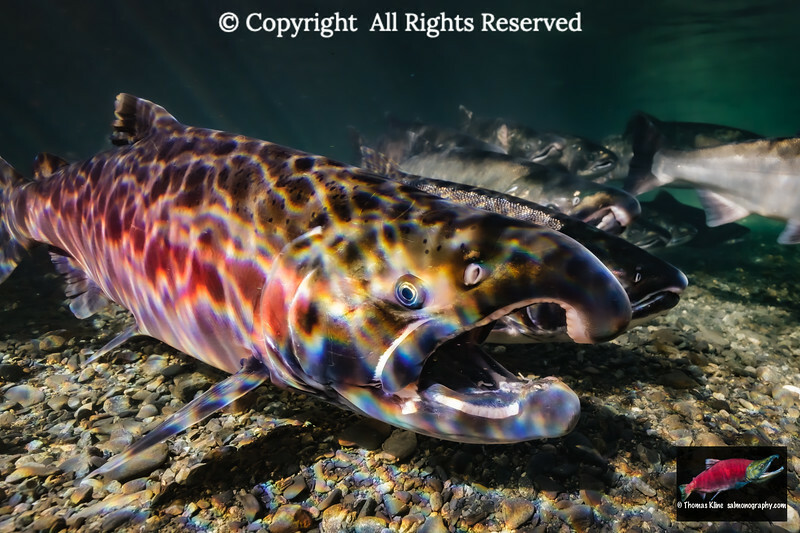 Spawned-out Pink (humpback) Salmon (Oncorhynchus gorbuscha) covered by the protozoan referred to as cotton mold (Saprolegnia) beginning the decomposition process that will eventually transform the carcass to mineral nutrients. 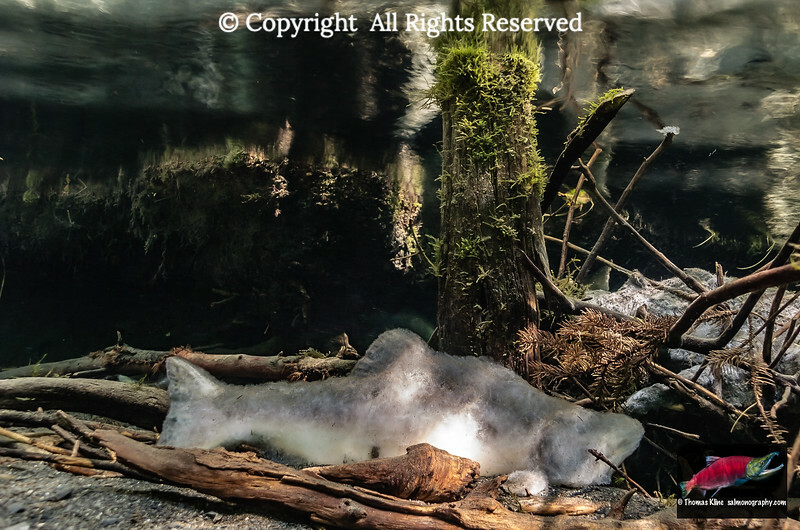 Photo taken under water in Hartney Creek, a tributary of Prince William Sound. Summer, South Central Alaska. 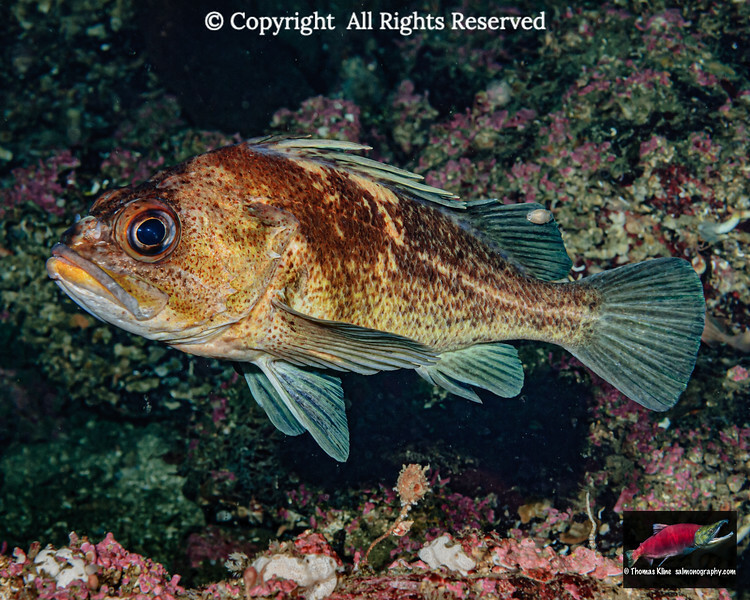 Quillback Rockfish (Sebastes maliger) with a parasitic isopod on its dorsal fin. Aspect ratio = 4:5.